“Kitsuke” means putting on kimono properly in Japanese. It is very sophisticated; even in Japan, not so many people can kitsuke by themselves. Most of those who know kitsuke went to school or learned from kitsuke instructors. Kimiko Nagatoshi is a kitsuke instructor who teaches kitsuke in New York. She has been teaching for 40 years in Japan. Last year, Nihon Wasou, one of the major kitsuke schools in Japan, installed her as the first teacher of their New York school. It must be hard to live in foreign country for the first time at age of 72; however, her decision was made by what the president of Nihon Wasou said to her, “Introduce the TRUE kitsuke”. 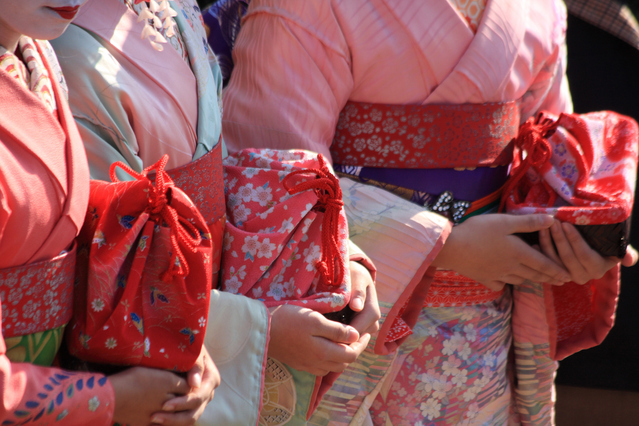 To wear kimono beautifully, must wear properly. It usually takes 1 year to learn the basic of kitsuke but she teaches it in 4 months. Since May 2008, she taught 150 students. Most of them were Japanese who lives in New York. She says she is so excited to see how the students master kitsuke in the end of the class, and she never can forget the excitement.